Rhapsodomancy is another word new to me, and one that actually has some application. It means using the text of a poem to foretell the future. According to Wikipedia there are several ways of determining which poem to use. Some of the systems involve writing a poem or some poems’ titles on bits of paper (or tree-bark if you want to be really authentic), putting the papers in a pot and drawing one out (without looking of course). Alternatively you can spread the papers over your desk and toss a die at them. The one the die lands on is the one you use. Fortunetelling isn’t really my thing, but I was intrigued by my reading about rhapsodomancy so I thought I’d give it a go. Writing a lot of titles or lines out seemed like work and a waste of paper, but using the die is a good idea, so I decided to adapt that. It took a few goes to make it work, so what follows isn’t entirely my first effort. 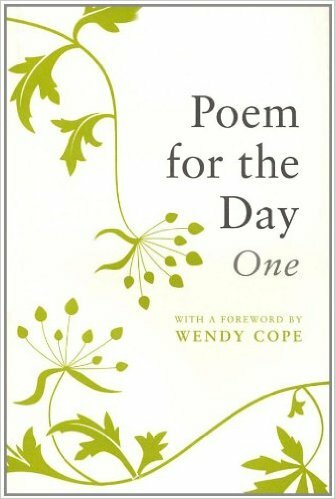 Some time ago I was given a copy of a lovely book, Poem for the Day: One edited by Nicholas Albery, which has one poem for each day of the year. It seemed a good book to use as my text – very varied poems by many poets. To find the poem I need I have to have a randomly chosen date. Since we are in the first half of the month I decided the date used should to be in the first two weeks. So I toss a die. It lands on 6. I don’t need another toss – I’m not going to do any adding. If I used another toss I might get a 1 or 2 and could use them with the 6 to give me 16 or 26, but I’ve already decided to rule these dates out. So now to toss for the month. I get a 2 – February. I toss again in case I get December, but I don’t – I get a 3. Since there are no months 23 or 32, I stick with February. Now for the text for 6th February. It is The Passionate Shepherd to his Love by Christopher Marlowe. But it has six stanzas which seem too much for divination, so I toss again and get a 6. All this die work is just the preamble. We’re now at the tricky part, which is working out what it means. An experienced diviner could probably draw a lot of conclusions from such a verse. My immediate reaction is that next May there will be dancing and singing near enough to me for me to observe it and maybe join in. This is such a cheerful prediction that I’m going to stop there and wait until May 2016 to see if it comes true. If any of my readers see something different in the verse, I’d love to hear what it is.